When it comes to indulging, cheese fries take the cake. They are luscious, cheesy, filling, and completely comforting. But they can get boring and can be very heavy, so why not change that? First things first, how? Well being fall, I can't think of any better ingredient to add than apples...I know, I know, but stay with me here. If you're from New York State, you know we love our apples and a classic combo with apple products around here is cheese. So why not veganize it and combine the two for a scrumptious side. This recipe shows you how to combine regional favorites to make a classic cheese fry. This reinvented treat is completely addictive and perfect for any dinner and/or even party. 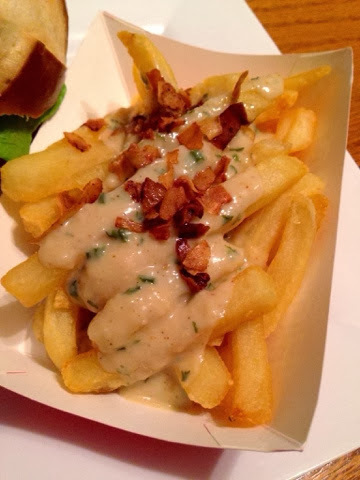 With the creamy yet light sauce, paired with your favorite type of fry, you are in for a scrumptious treat. You will be asking yourself afterwards, "Why haven't I thought of this?!". Store in the fridge or freezer for later use and enjoy it over and over again. Perk up your fall with this perfect side, enjoy! In a small saucepan heat to high. 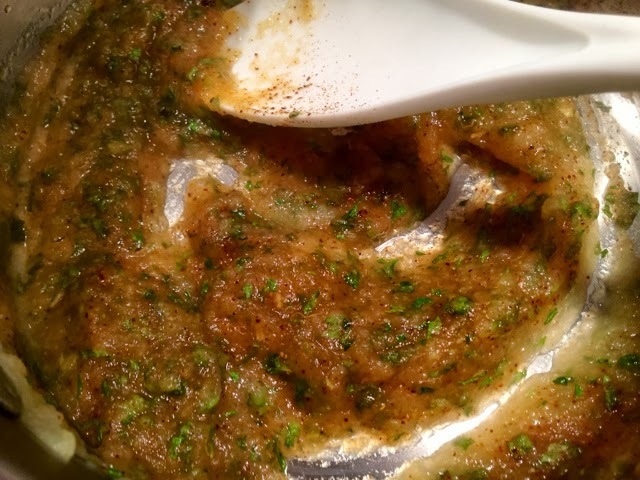 Place oil, applesauce, chives, and parsley. 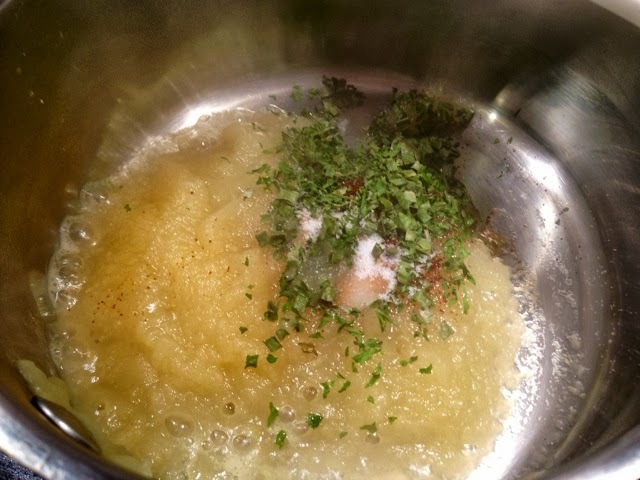 Sauté the applesauce mixture until combined and fragrant. Once the mixture is ready, add in coconut milk and bring it to temp. Once warmed, add in your shredded vegan cheese and whisk to melt until smooth. 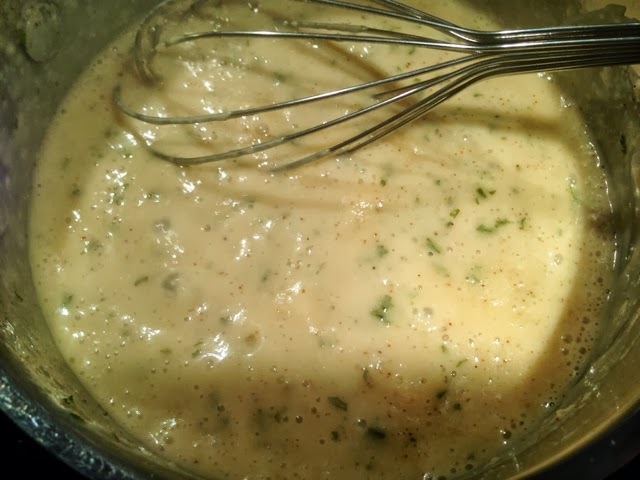 Once your vegan cheese has combined into the sauce, add in blue cheese and whisk in. 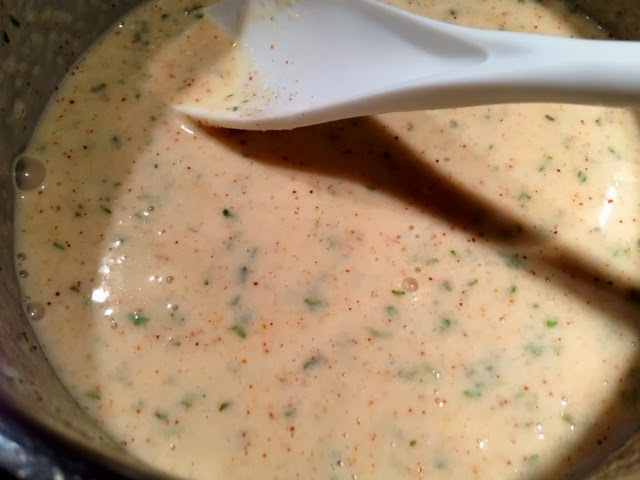 Your sauce is ready when everything is combined and the sauce is velvety. Serve the sauce drizzled over homemade French fries or on the side to dunk. Sprinkle on coconut bacon to serve. 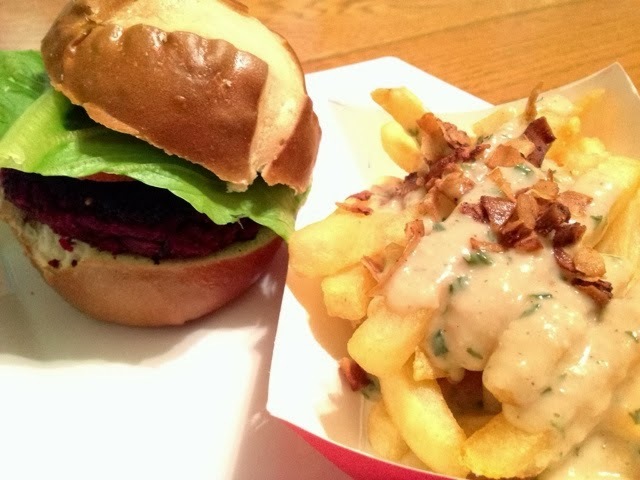 Pairs nicely with any fry or other recipes that call for vegan cheese. You will want to make extra after tasting this sauce. Enjoy!